Get These Items While You Can! After two months in development, this artwork of “The Semi” has been rendered down to the finest screen accurate detail from the show. From the logos, classic “Boomerang Radar Unit”, pin striping, and extended sleeper cabin as depicted in Seasons 3 & 4 of the cult classic television series, you will not find this level of accuracy depicted anywhere else! 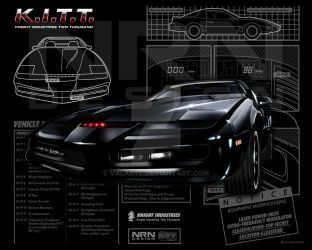 This highly detailed artwork of the famous Knight Semi has multiple views and features and specs you won’t find anywhere else inspired by the original K.I.T.T. kit and other fun sources of series information. These “Metallic Schematic” 8×10 prints are printed on metallic photo paper giving all the lines a nice silvery sheen you have to experience yourself in person to appreciate. BUT WAIT! 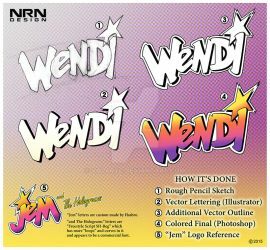 HERE'S MORE FROM NRN DESIGN! Whether you love the classic television series, own a replica, or just collect memorabilia – this t-shirt will make the perfect addition to your KR collection! Makes a perfect gift for the KR fan in your life at a price you can afford! NOTE: This is a PRE-ORDER. Shirts may take up to 2 weeks to produce and orders will ship once in hand. All domestic and International orders are shipped via USPS mail using durable packaging or sturdy boxes. Secure your “Shadowy Companion” t-shirt today before this limited edition release rides off into the sunset! Personal Quote: Reach for the stars and capture your dreams, only your fear can stop you. Favorite visual artist Bruce Timm, Jim Lee, Michael Turner, Drew Struzan, J Scott Campbell, Jason Johnson, Reiq Favorite movies The Empire Strikes Back, Sleeping Beauty, Freddy vs. Jason, Spiderman 2, Van Helsing Favorite TV shows The Apprentice, Arrow, WWE/TNA, Knight Rider, Family Guy, American Dad, Archer Favorite bands / musical artists Michael Jackson, Aerosmith, Van Halen, John Williams, Hanz Zimmer, John Williams Favorite books The Writer's Journey, Game of Thrones, Controversy Creates Cash (Eric Bishoff) Favorite writers Glen A. Larson, Paul Dini, Alfred Gough. Timothy Zahn Favorite games Smackdown, Legend of Zelda (first one) Favorite gaming platform XBOX 360 and PS3 Tools of the Trade Photoshop, Illustrator, After Effects, Maya, My Creative Mind. Other Interests Knight Rider, Disney, Star Wars, fanfiction writing, drawing, inspiring others to reach their dreams, designing. I adore your work, I'm a big Knight Rider fan ! !